This resource for The One Ring contains four double-sided, poster-sized maps, detailing the lands of Wilderland, Eriador, Rohan, Gondor and Mordor in fantastic detail. One side of each poster is an Adventurer's Map, suitable for sharing with your players in a game; on the other side is a Loremaster's Map, complete with secret locations and the dangers and difficulties associated with each region. 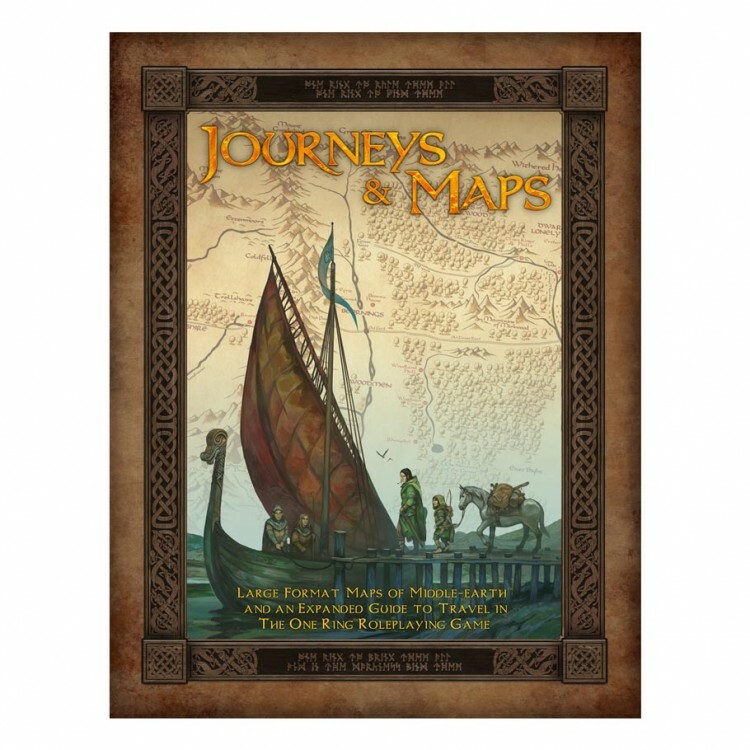 As well as the maps, the supplement also includes a 32-page guide to journeys in The One Ring, with expanded descriptions of hazard episodes, rules for travelling by boat and introducing the dreaded Corsairs of Umbar. It also contains a comprehensive index of places found within other supplements for The One Ring, for use with the maps.